Where my comdoll-trading brothas at? Check out these swing trade opportunities I’ve spotted on CAD/JPY and EUR/AUD and see if you can get pips off of them! Here’s an easy peasy trend trade for ya. CAD/JPY is turning away from the 83.50 handle, which isn’t surprising since it lines up with a descending channel resistance on the 4-hour time frame. If you’re the type to combine oscillators like stochastic with setups like these, then you’ll love that it’s currently flashing an overbought signal. Is the the Loonie headed lower against the yen? Shorting at the earliest signs of bearish momentum is a good idea if you believe that CAD/JPY will head for its March lows. If you’re one of them Loonie bulls or yen bears, though, then you could also wait for the pair to make new March highs and trade a possible upside breakout. Trend trades not your thing? Check out this range setup instead! 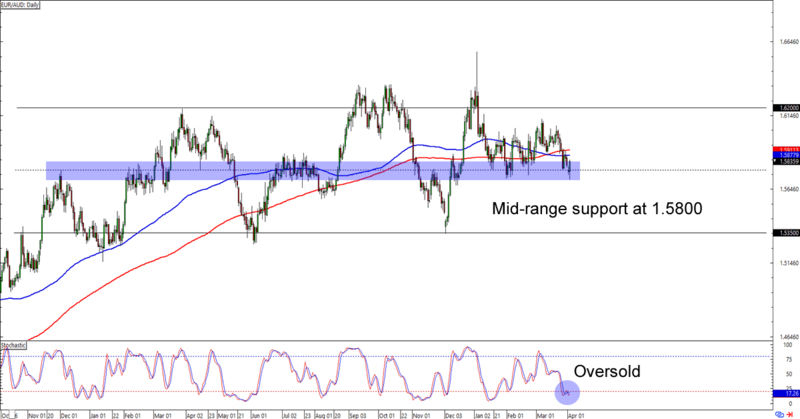 EUR/AUD is finding support above the 1.5800 levels, which is right smack at a mid-range support on the daily time frame. What makes the setup more interesting is that stochastic is also flashing an oversold signal. 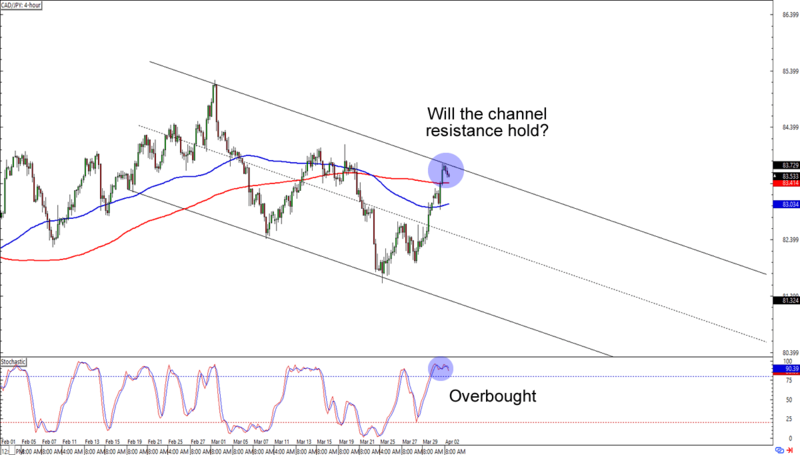 Will the bulls jump in at the bullish signals? Buying at current levels could still get you a pip or two (or 400) if the euro ends up back at the 1.6200 range resistance. Don’t discount the bears, though! A break below the support that we’re watching could lead to a retest of the 1.5350 range support. That’s more than enough pips even for those who wait for a downside breakout! That’s it for me today. Don’t forget to use your best risk management practices when you’re executing your trading plans, aight?